Or view larger version. Mission Dolores. Date unknown. Barney McGettigan, artist. Color lithograph. Collection of Oakland Museum of California. Gift of Herbert Hamlin. 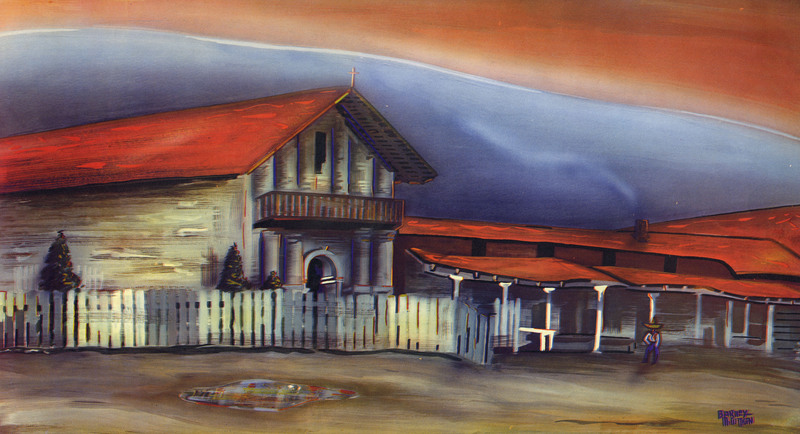 This is a color lithograph of the Mission Dolores in San Francisco, California. Mission Dolores was founded on June 29, 1776, five days before the Declaration of Independence was signed. Mission Dolores is the oldest building in San Francisco.